The Chinese economy has experienced massive growth and expansion within the past few years. Moreover, since an increasing number of Chinese people use the internet on a daily basis, the Chinese search engines market has gained immense prominence. The internet can be used as a useful marketing tool for companies to reach their respective target audiences and market their products or services. Consequently, the search engines in China are experiencing growth rapidly. Though Google is the most widely used search engine almost all over the world, in China, things are a little different. 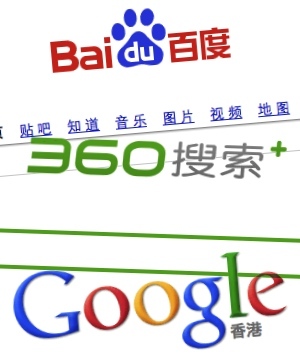 The China search engine, Baidu, is the largest within China and is most widely used. Baidu generates more revenue because Baidu is in their native language and can be used and understood by even those who do not know other languages. To achieve visibility and prominence via marketing within the China markets, you need to have an edge over the Chinese language. Your marketing efforts, in China, should be in their native language so that they understand all about your company and your products and services. Moreover, to gain visibility within the China markets, you should use the China search engine Baidu or you can get a list of search engines that are most widely used in China to be able to target the correct audience for your products. If you don’t have the necessary expertise at your disposal to market your products on the various search engines in China, you can get the services of an appropriate Chinese search engine marketing company. Such companies mostly have experts and professionals who have a lot of experience in the field of search engine optimization. Due to their experience, they recognize the different needs and wants of the market and are able to pick and choose the right target audience for your goods and services. This will eventually optimize sales of your products in China.